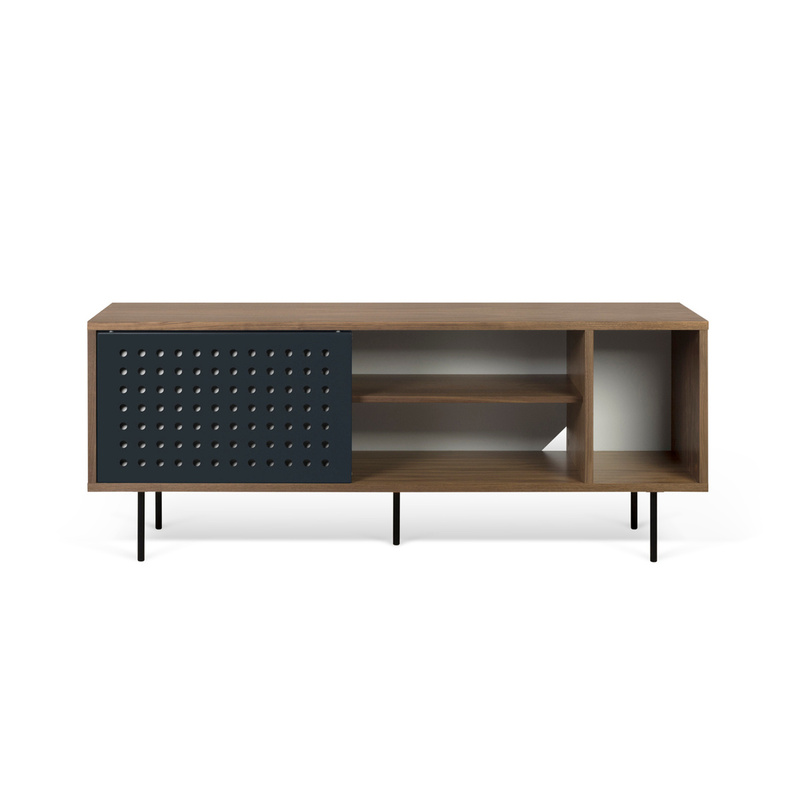 For your living room, choose a simple TV stand like Dots! 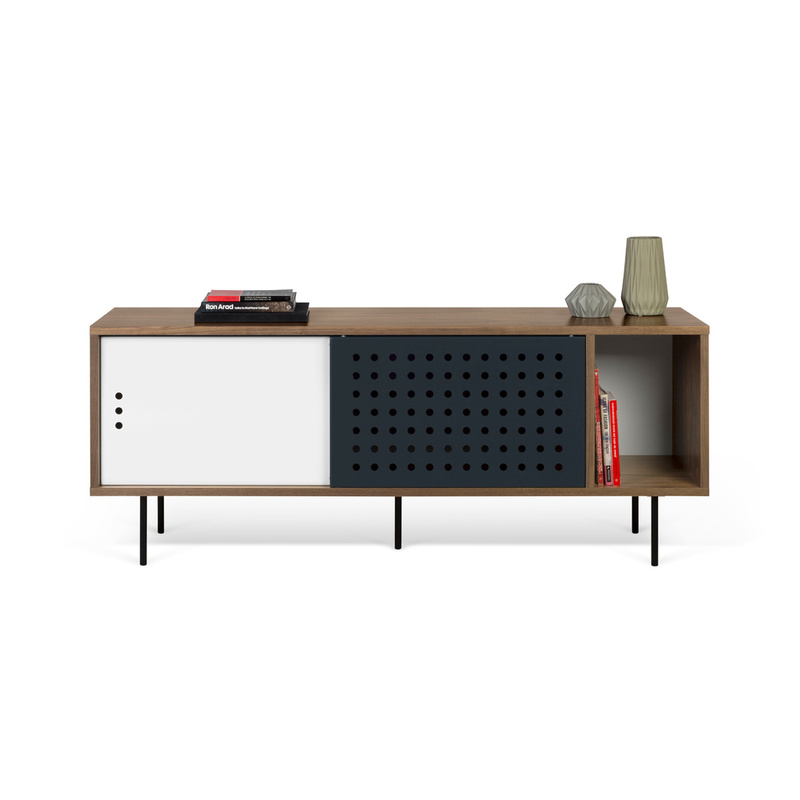 Born from the creative genius of designer Rodolphe Castellani, the “Dann Dots” TV stand is produced by the Portuguese brand TemaHouse and it is part of a large collection of living room furniture, characterized by a simple and practical design as well as great elegance and striking details. 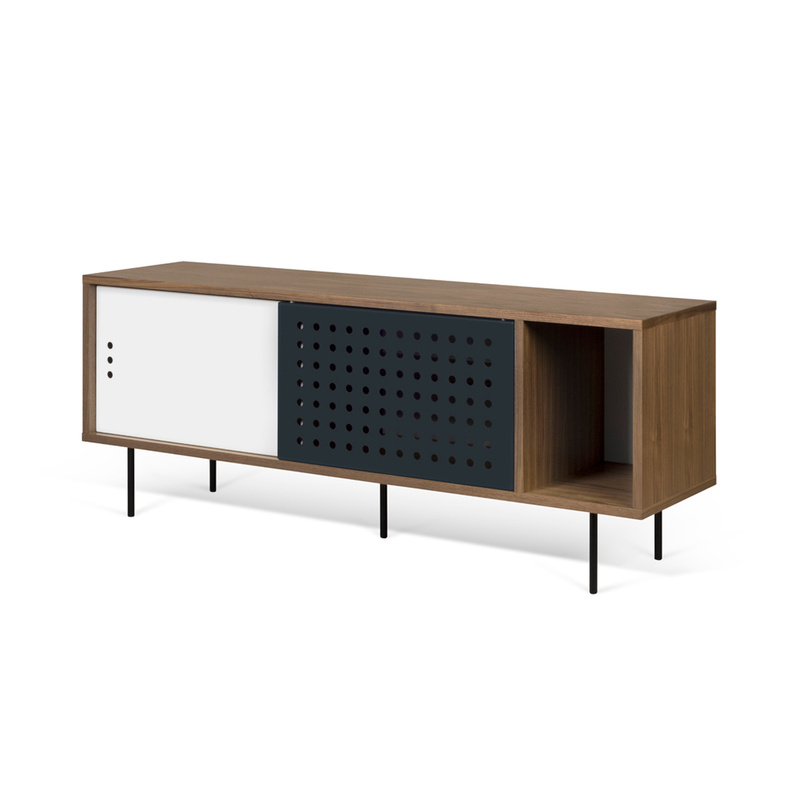 For example, in the case of the “Dann Dots” TV stand, the openwork white and black sliding doors are one of the most characteristic features that give this item an innovative touch. 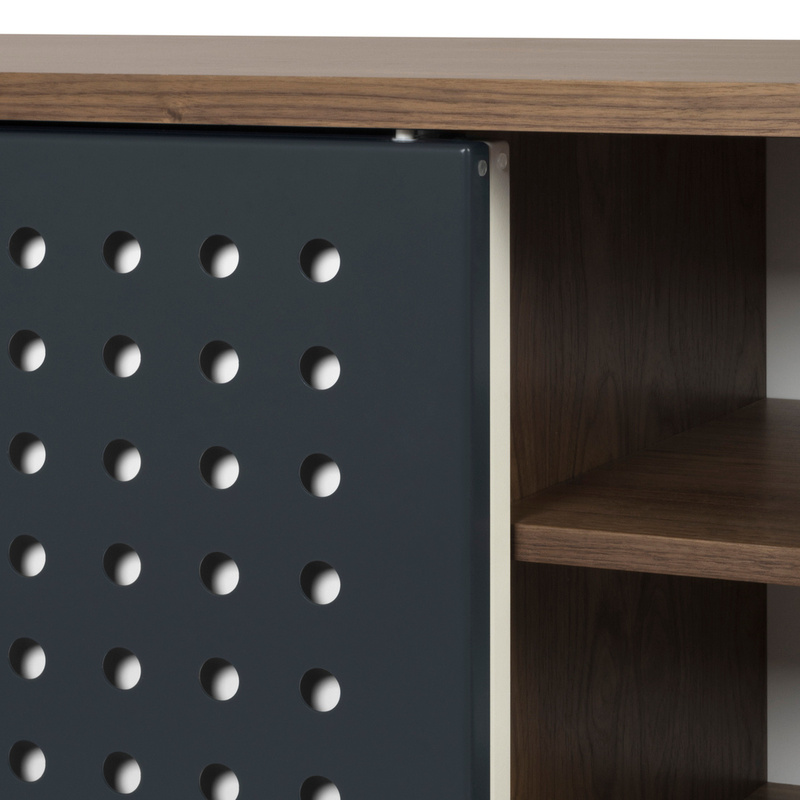 Medium-sized, the “Dann Dots” TV stand can fit into a large number of environments and contexts, while the possibility to use it with Audio-Video systems is given by the presence of a small hole in the back allowing the passage of necessary cables. 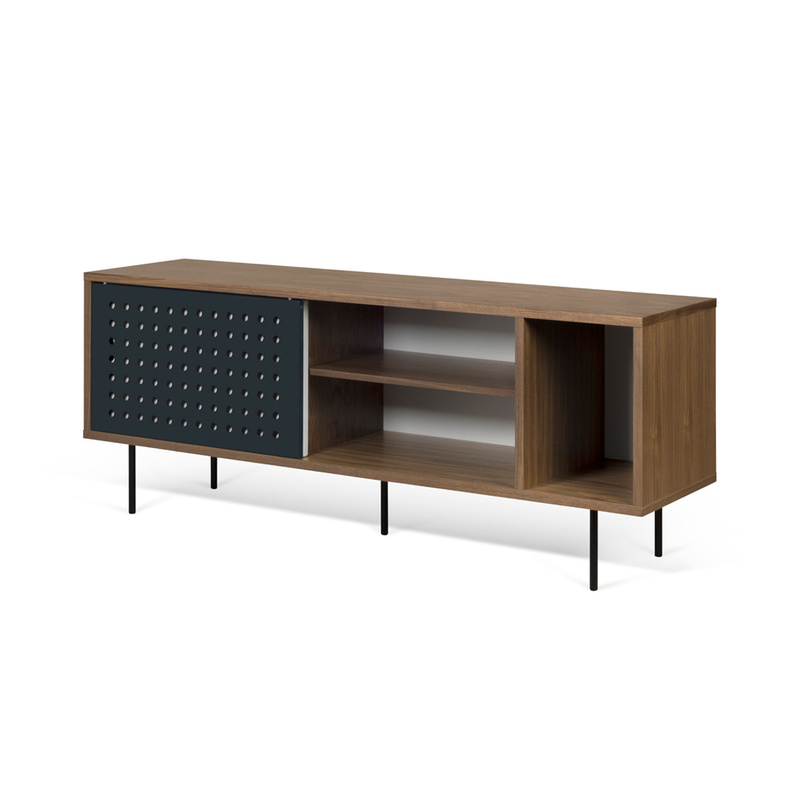 Moreover, the internal organization of the spaces makes it easy to place inside it DVD players, decoders, and various technological devices necessary for an optimal viewing experience. 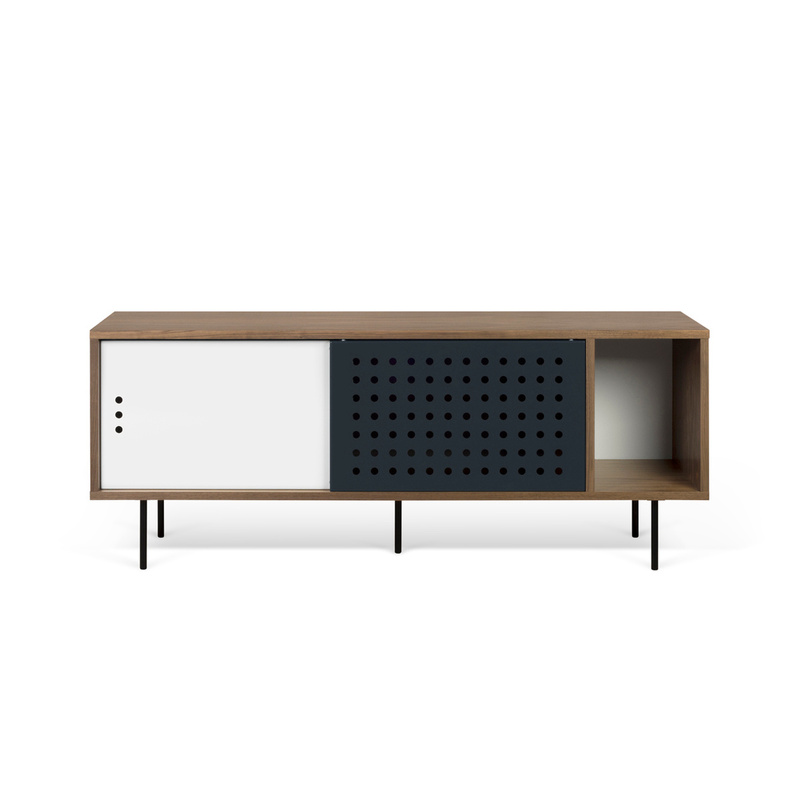 Three are the predominant colours of the “Dann Dots” TV stand: the natural wood brown of the main body of the item and the white and black contrast of the doors. The latter, when overlapped, create an unusual play creating the impression of a fourth colour – dark gray. This item is sold disassembled: please follow the instructions provided, complete with drawings to make it easier to understand the various steps. All the components required for assembly are supplied within the package. Born in 1976, Rodolphe CASTELLANI studied Engineering and Innovation at ISTIA Angers and is graduated in Design and Innovation at ENSAM Paris. During 10 years he worked as Manager of Design and Quality Department of one of the biggest furniture and Decoration Company in France. He managed production and product development of thousands of products in Europe, China, Vietnam or Indonesia. He attaches the greatest importance in satisfying end user through developing beautiful, useful, and qualitative items. 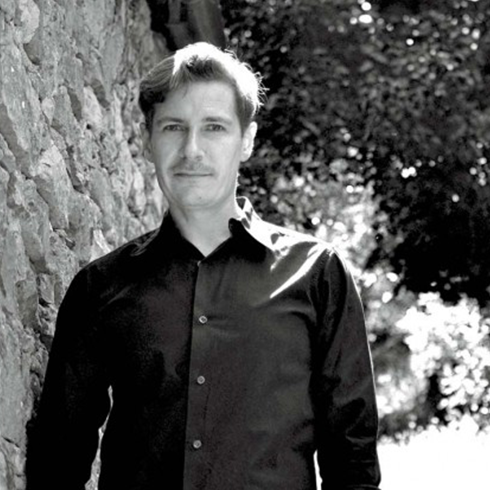 In 2012 Rodolphe CASTELLANI decided to launch his own design studio « Democratik Design Development ». 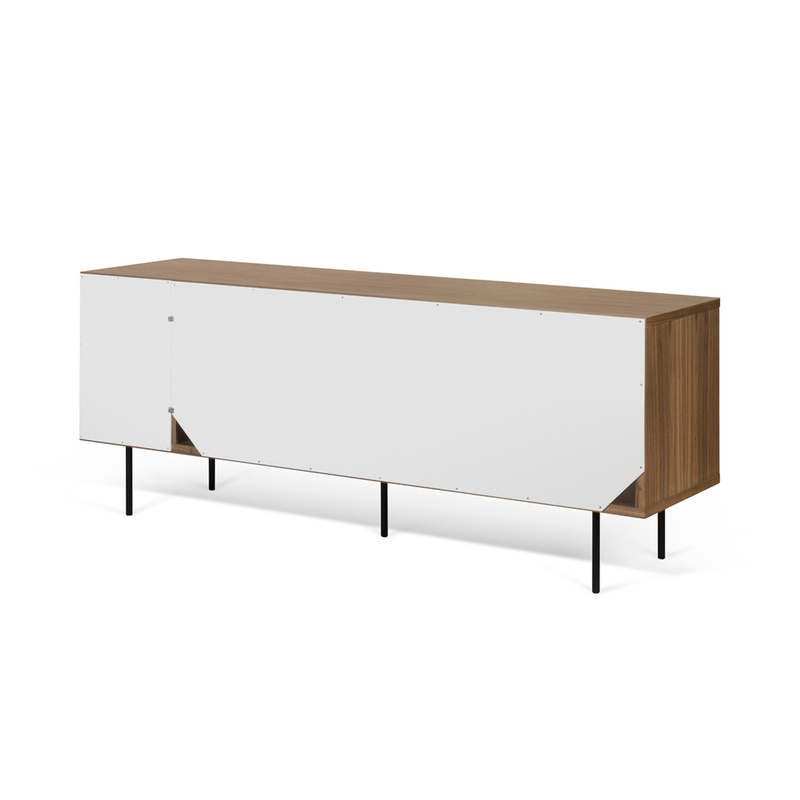 In this agency he develops new products for furniture retailers and also creates space-planning solutions for private interior architecture projects. His creations offer original lines and innovative functionnal solutions that match with modern way of life. Rodolphe CASTELLANI also teaches Product Design at KEDGE Design School in the South of France.